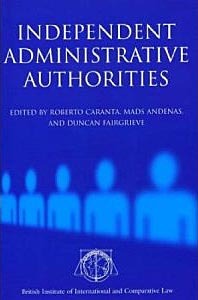 Independent administrative authorities have become a permanent feature of the institutional landscape over past decades. The need for institutions with both impartiality and technical expertise has inexorably led to an increase in number and scope of independent administrative authorities. Independent administrative authorities regulate stock markets and financial institutions; they protect fundamental rights such as access to administrative documents. There is however a conflict between independence and accountability. In some ways, independent administrative authorities are at odds with the traditional notion of separation of powers which still lies at the heart of constitutional thinking. This book aims to shed light on how different legal jurisdictions have articulated their answers to this tension, at the same time discussing how separation of power has been twisted or reworked to make room for this novel form of public authority.